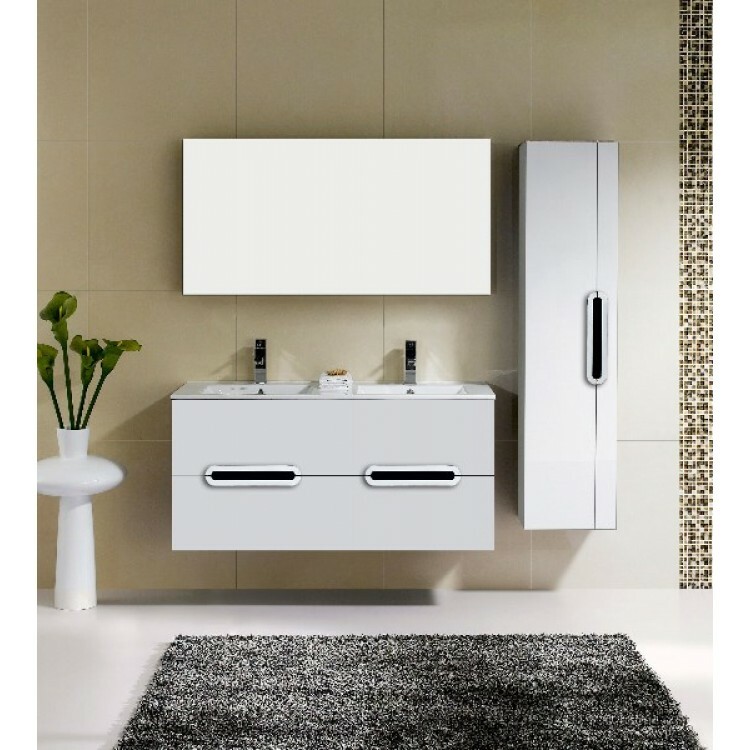 Home » Wall Mounted » Yakira 48"
Wall mount all wood vanity, available in a wenge veneer and high gloss white enamel finish, 2 drawers finished in matching interior. Ceramic top with integrated basin. 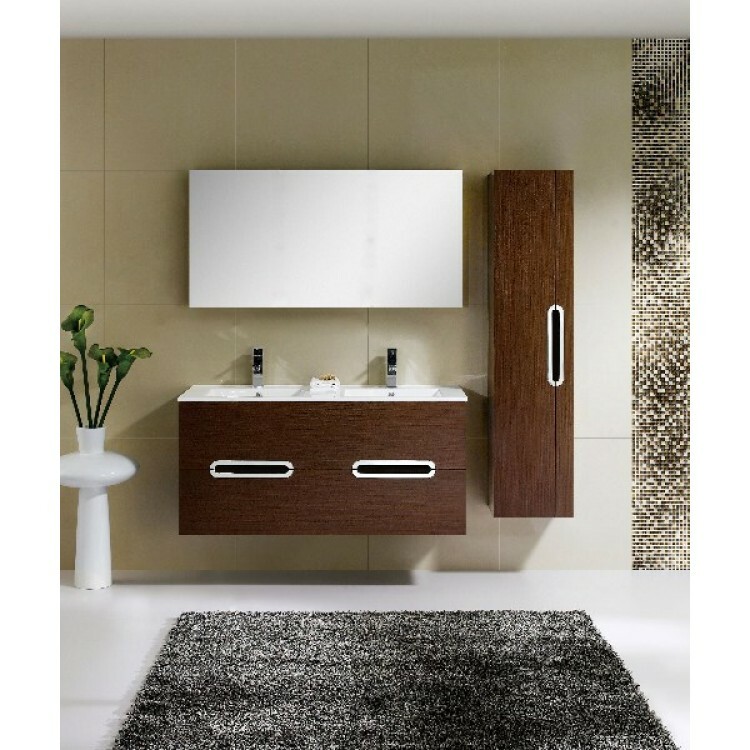 Matching mirror and polished stainless steel handles included. Yakira 48" yakira, 48 48 48", 40", 49"